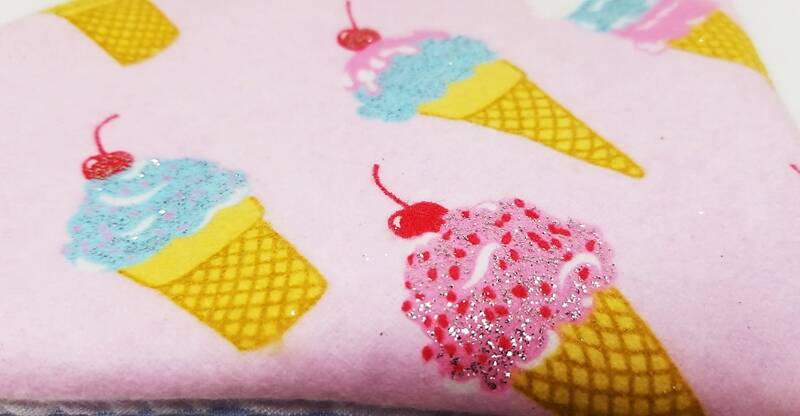 ♥ Summer wouldn't be as good without being able to cool down with a cool treat and what's better than an ice cream cone?! 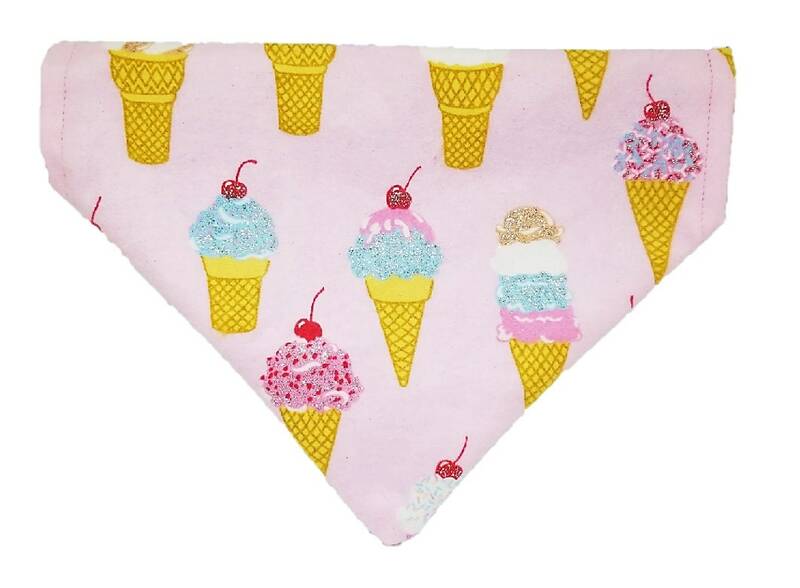 The Ultimate Summer bandana features a soft pink flannel with printed ice cream dripping all over - and even includes glitter! 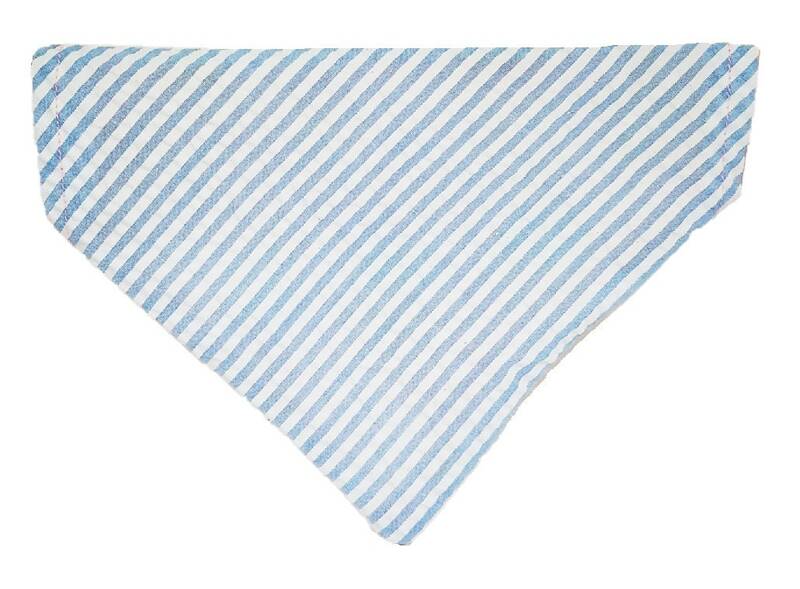 On the reverse side, find a cool breezy white and blue striped searsucker fabric. Easily slide your best friend's collar through the hole at the top. It will securely stay so there is no hassle having to tie it over and over and your pup looks fashionable! Win win! Hand wash and air dry.